Welcome to the third Asian Chemical Editorial Society (ACES) newsletter. 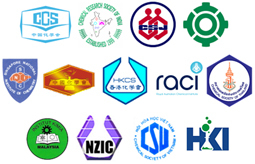 We hope you enjoy this selection of the latest news regarding ACES activities, partners, and publications from this group of major chemical societies from Asia and the Pacific! 2016 was a great year for the ACES journal program. From 2015 to 2016, the number of articles published in ACES journals increased 46%, the number of downloads increased 25%, and the journals put together exciting special issues on topics related to energy conversion and storage, catalysis, and biointerfaces. The youngest ACES journal, ChemNanoMat, was also accepted for indexing in Web of Science and is expected to receive its first partial impact factor in June 2017. With these achievements and others in mind, we would like to take this opportunity to thank our authors, board members, referees, society partners, and readers for all their support - you are crucial to this success! We warmly congratulate Professor Chi-Ming Che (University of Hong Kong) on being the first researcher to receive the Ryoji Noyori ACES Award. Read all about this new award being sponsored by ACES here and check out the other awards being given together with ACES societies here. 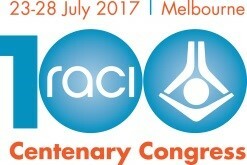 This July, the Royal Australian Chemical Institute (RACI) is commemorating their 100th anniversary with the RACI 2017 Centenary Congress. Several partner conferences will be held concurrently, such as the Asian Chemical Congress (ACC), which will include a top-tier symposium organized by the ACES partner societies and the German Chemical Society (GDCh) aimed to deepen relationships between chemists across Asia, Germany, and beyond. Read all about it here. 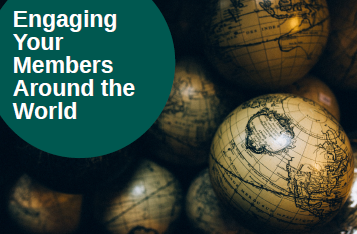 Discover the latest results from the Wiley membership survey to see what motivates people to join societies and renew, and how they want to engage with society communities. Click here to explore the infographic. Helma Wennemers, Swiss Federal Institute of Technology (ETH) Zurich, Switzerland, has been selected to be The Chemical Record (TCR) Lecturer at this year's Spring Meeting of the Chemical Society of Japan (CSJ). Find out more about this meeting and numerous other exciting events hosted by your local societies here. Plus, look for ACES journal editors at upcoming events, such as OMCOS in Seoul, the RACI centenary, and more! Berlin, September 11, 2017 – Register for free for the Virtual Event!